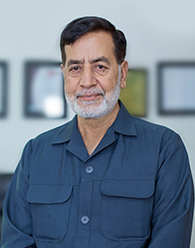 Alkhidmat Fareeda Yaqoob Hospital (AKFYH) established, under the patronage of Mr. Niamatullah Khan Advocate (Ex-City Nazim, Karachi). AKFYH started its 24 hours services on November 21, 2016. Alhamdulillah currently we had 40 inpatient bed providing services for the mother & child healthcare. Currently we are providing consultant clinics, 24 hours Maternity & NICU, Laboratory, Blood Bank, Pharmacy Services, we had Eye & Dental, Rehabilitation, Vaccination, X-Ray & Ultrasound Services. Almost three decades ago, Alkhidmat Foundation Pakistan was registered as a non-profit organization with the mission of “service to humanity with integrity”. We have been striving to fulfil our vision without any discrimination on the basis of religion, color, race or political affiliation throughout this time. We have expanded our operations up to seven areas: Disaster Management, Education, Health Services, Clean Water, Orphan Care, Mawakhat and Community Services which altogether cover all fields of the life. With a growing number of beneficiaries of humanitarian services every year, the AKFP has become now a name of quality and excellence in Pakistan and abroad. We have so far engaged in welfare activities in Pakistan, Bangladesh, Syria, Indonesia, Malaysia Nepal and Myanmar. AKFP has also established a dependable global network of partner relief organizations to undertake humanitarian aid operations. Extreme level of transparency, volunteerism and trust of partners and donors has become AKFP’s identity. Give Your Donation and Zakat through these bank accounts or visit us. 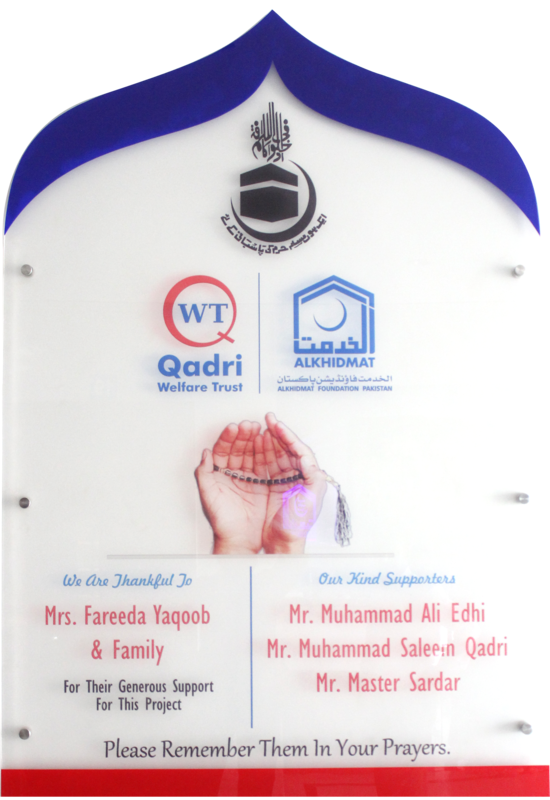 AlKhidmat Fareeda Yaqoob Hospital has become phenomenal due to its round-the-clock availability of specialists. In Gynecology and Obstetrics Department we offering 24/7 Gyne general OPD, Gyne consultant OPD, Gyne operation theater, Labor room and Recovery Room. In Paeds Department we offering Paeds General OPD, Paeds Consultant OPD, Paeds NICU, and Paeds Ward. AKFY provide state of the art Observation services 24/7 with qualified doctors available round the clock. In Dental Department we offering Dental Opd, Scaling & Polish, Bridges & Root Canal and Other Complete Procedure. Alkhidmat Fareeda Yaqoob Hospital arranged Free Psychiatrist Camp at Dhabeji Gareebabad Market under the supervisory of Dr. Seeda Akhter (MBBS, MCPS) we have facilitate free medical checkup for the patients who are suffering with depression, tobacco Habits, STDs. AKFYH also provide free medications to patients. At least 67 patients were get benefitted. Alkhidmat Fareeda Yaqoob hospital arranged free medical at Society of Water and Severage board karachi “ pump house” at least 113 patients were get benefited from this valuable effort by AKFYH medical team. We have also distributed free medicines in this activity to the patients.